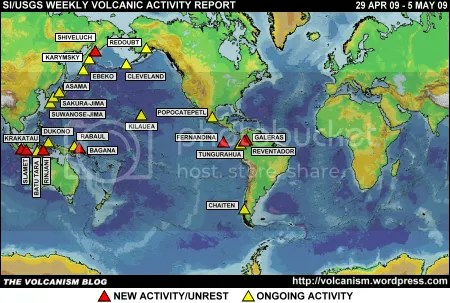 Posted by admin in activity reports, Bagana, Barren Island, Batu Tara, Chaitén, Cleveland, Colima, Dempo, Dukono, eruptions, Fuego, Karymsky, Kilauea, Kliuchevskoi, Koryaksky, Rabaul, Sangay, Santa María, Shishaldin, Shiveluch, Soufrière Hills, Suwanose-jima, Tungurahua, Ubinas, Weekly Volcanic Activity Reports. 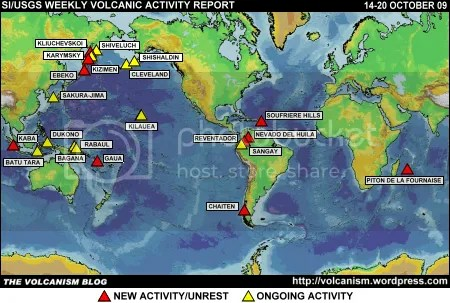 The Smithsonian Institution/United States Geological Survey Weekly Volcanic Activity Report covering 31 December 2008 to 6 January 2009 is now available on the Global Volcanism Program website. 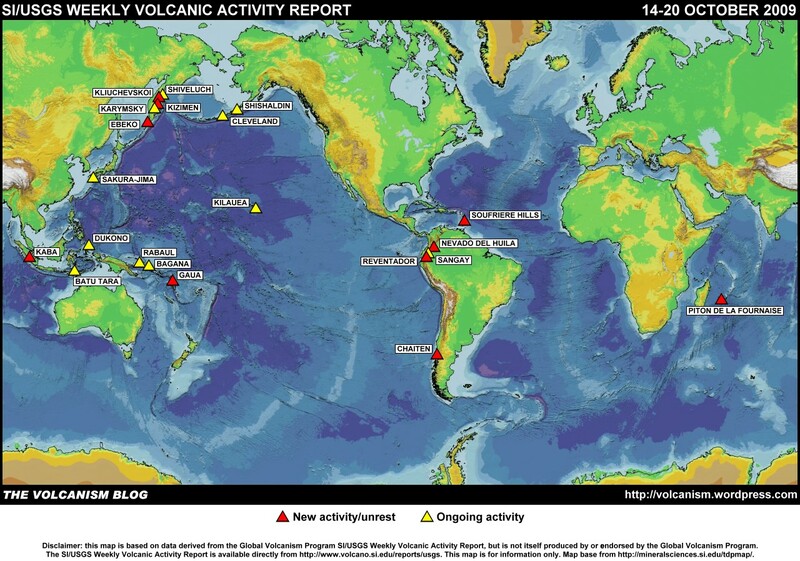 The following is a summary and not a substitute for the full report. 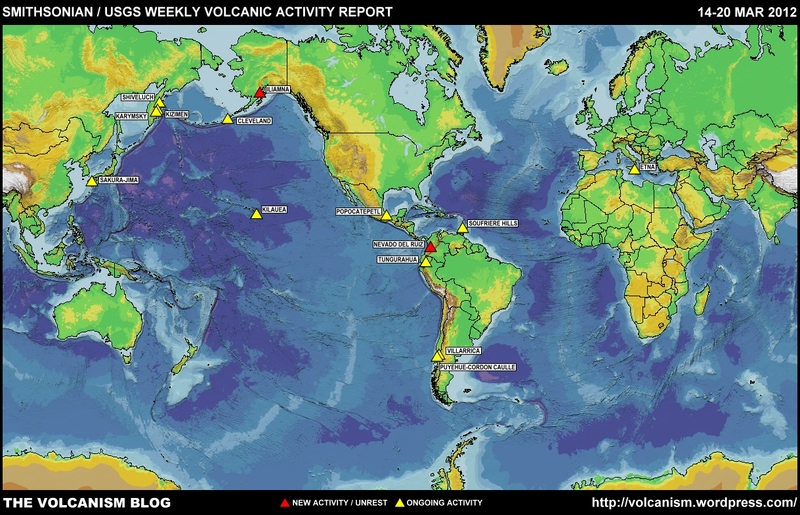 New activity: Cleveland (Alaska, USA), Dempo (Sumatra, Indonesia), Koryaksky (Kamchatka, Russia), Shishaldin (Alaska, USA), Soufriere Hills (Montserrat), Tungurahua (Ecuador). 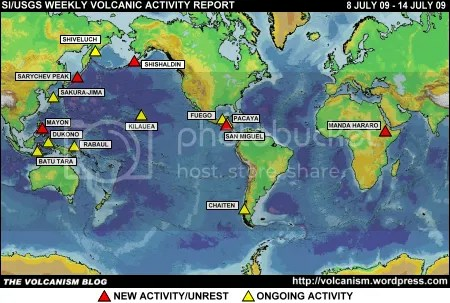 Ongoing activity: Bagana (Papua New Guinea), Barren Island (Andaman Islands), Batu Tara (Komba Island, Indonesia), Chaiten (Chile), Colima (Mexico), Dukono (Halmahera, Indonesia), Fuego (Guatemala), Karymsky (Kamchatka, Russia), Kilauea (Hawaii, USA), Kliuchevskoi (Kamchatka, Russia), Rabaul (Papua New Guinea), Sangay (Ecuador), Santa Maria (Guatemala), Shiveluch (Kamchatka, Russia), Suwanose-jima (Japan), Ubinas (Peru).